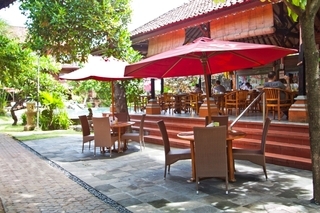 This hotel is located in Kuta, lying close to the area's most prestigious shopping and entertainment zones. The hotel lies in close proximity to a wide range of intriguing attractions in the area. Guests can gain an insight into the rich culture and tradition of this wonderful area. This charming hotel enjoys a wonderful design, welcoming visitors with warm hospitality and the promise of a comfortable, enjoyable stay. The guest rooms are sleek, stylish and offer a comfortable setting in which to unwind. Guests can enjoy local and Western dishes in the hotel's restaurant. This hotel ensures that guests never experience a dull moment. Wonderfully located in southern Bali, in the popular and tourist Kuta district, this comfortable hotel is a great choice for those looking for accommodation in this part of the country. Overlooking the Indian Ocean in front of a beautiful beach, the property is also within easy reach from Pasar Seni area for souvenir shopping and Waterbom Bali waterpark to enjoy a day of fun with the little ones. Moreover, Ngurah Rai International Airport is only a 10-minute drive from the premises. There are several types of rooms and all of them are tastefully appointed to guarantee a pleasant stay. Superior categories include a private balcony to enjoy the sea breeze and extra space. Among the useful on-site services and facilities included, guests will appreciate a refreshing dip at the semi-indoor pool and the helpful valet parking services. Legian Village is a centrally located resort in Legian just a short distance from the main shopping, entertainment and dining venues. Guests will find a spectacular, sandy beach just 200 metres from the resort. The capital city of Denpasar is just a 30 minute drive away and Bali International Airport can be found just 3 kms from the resort.The comfortable guest rooms feature Balinese and modern style and are designed with comfort and convenience in mind. Guests can enjoy the ultimate in relaxation with Spa treatments available onsite. The restaurant offers a relaxing setting overlooking the pool where guests can enjoy delicious dining. 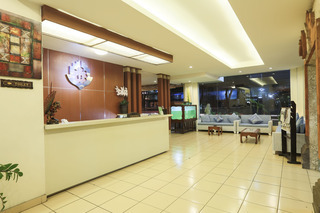 Stay at Loft Legian Hotel and find that utter ease need not cost a fortune. This smart accommodation option in Bali, Indonesia offers a spacious home that lets you unwind in style and comfort sans the hefty cost.A holiday spent at the budget-friendly hotel is bound to go beyond expectations. Part of the trusted Avilla Hotels, the property presents 50 chic guestrooms all appointed with essential amenities like Wi-Fi Internet connection, LCD cable TV, safe, and hot and cold shower. Utmost convenience is also at the tip of your fingers with facilities that include Loft Cafe where you can relish delectable brews and pastries.The hotel also boasts a location that lets you easily explore one of the world's favorite tourist destinations. 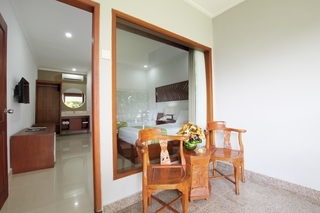 Walk to the beautiful Kuta Beach in under 5 minutes, or visit nearby cultural attractions. 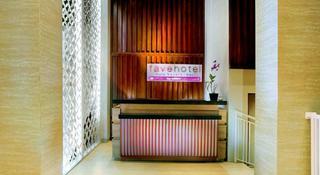 This hotel is located on Legian Street in the heart of Kuta and within walking distance of the famous Kuta Beach. A broad range of shopping venues, restaurants and nightspots are easily accessible. 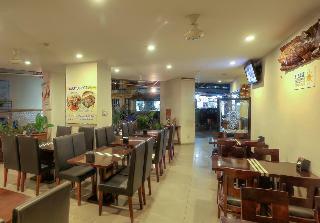 It is 7 km to the Discovery Shopping mall and Ngurah Rai International Airport. The hotel comprises a total of 101 rooms and a garden. Facilities include a lobby area with a 24-hour reception and check-out service, a hotel safe and a currency exchange facility. A bar and a restaurant as well as room and laundry services are also available. All rooms are fully-equipped as standard featuring a balcony or terrace. They all come with a private bathroom with a hot water shower as well as a twin or double bed and a satellite TV. Guests can enjoy the outdoor swimming pool with swim up pool bar, children's swimming area and sun loungers. Mangosteen – a beautiful 2-bedroom villa in a Balinese family compound with its own private entrance. Welcomed by the mangosteen tree at the entrance – you step inside into the greens. The romantic villa has 2 en-suite air-conditioned bedrooms each with its own walk in closet, 32 inch TV and a queen bed; a well equipped kitchen, dining area, study area, lounge with TV (42 inch), which looks outside at the inviting swimming pool – the ambience is so relaxing that you will feel all your stresses fade away. Situated on Jalan Sri Widari about 10 minutes off the main Ubud Jalan Raya – you can access the main market roads by hiring a motorcycle or a car. Wifi is complimentary. 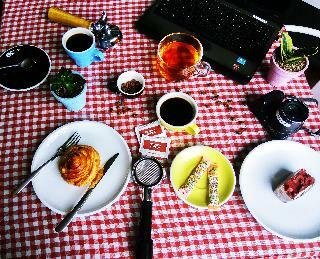 Breakfast for 2 / room is included. This hotel is located in Kuta, in Bali. The hotel enjoys a strategic setting, lying close to a host of restaurants, shopping centres and nightclubs. Guests will find themselves just a 30 minutes' driving distance away from Bali Ngurah Rai International Airport. This family-friendly hotel enjoys a traditional Balinese design. The guest rooms are sumptuously designed, tempting visitors into a world of elegance and luxury. The rooms come complete with modern amenities, for added comfort and convenience. The open-air restaurant serves dishes from every corner of the world, offering guests the opportunity to savour the delights of European, western, Indonesian and Balinese cuisines. This hotel is sure to impress every type of traveller. 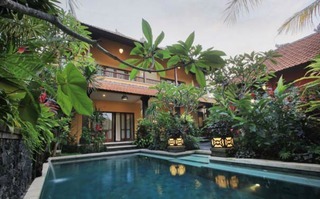 Mawa House Situated a minute walk from Ubud Monkey Forest. Setted behind the Balinese family house Mawa House offers an opportunity to blend with Balinese lifestyle. Located only 10 minute drive from Ubud Art Market and It is a 1.5 hour drive from Ngurah Rai International Airport.Nestled in Nyuh Kuning Heritage Village Mawa House features a garden with outdoor pool is the best place to enrich your Balinese holiday Experience. Located in the heart of the Kuta area and just a short walk from the famous surfing beach, this inviting, traditional hotel offers an ideal base for a delightful holiday. Guests will be able to reach the Kuta markets and shopping district on foot, and the Waterbom water park is just a ten-minute walk from the hotel. The hotel's comfortable and spacious guest rooms are furnished in a classic Balinese style. Guests can spend warm, sunny afternoons sunbathing by the marvellous outdoor pool and hot tub surrounded by a tranquil, verdant garden or relaxing with a poolside massage. The onsite restaurant serves both local and international cuisines a la carte for lunch and dinner in addition to a light buffet breakfast, and the hotel offers a range of helpful services such as a currency exchange, a small car park and a doctor on call 24 hours a day.